Were You Involved in A Car Accident? Every year, around 6 million motor vehicle accidents happen. And over 25% of those accidents result in injury to the driver or passenger. If the unfortunate occurred, and you were involved in a car accident, chiropractors in Vancouver, Washington at Dr. Ibolit’s office are here to help you take the steps toward a full recovery. At Dr. Ibolit Chiropractic, Physical Therapy & Massage, we see patients every day who have experienced car accident injuries that manifest in the neck, spine, and chest. Our doctors of chiropractic medicine specialize in treating and alleviating pain coming from back and neck injuries that commonly result in fender-benders, rear-ends, or major accidents. Don’t wait to get the treatment. Instead, make an appointment to see a health professional. File an insurance claim. Compensation for medical expenses and auto damage indemnify your situation. Consider hiring an attorney if your injuries are extensive. Come to Dr. Ibolit Chiropractic, Physical Therapy & Massage for a consultation and assessment of your injuries. Depending on the extent of your injuries, our chiropractic doctors will work hard to eliminate and alleviate pain in any affected area of your neck and back. Once we assess the injuries, we create a recovery plan to fit your condition. Herniated, slipped, or compressed discs are common injuries felt in the spine. If you’re experiencing radiating pain or numbness, come to our office today for a diagnosis and treatment plan. 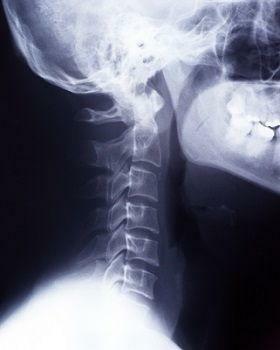 Whiplash, a common injury in motorists after a sudden rear-end or impact, occurs when the neck “whips” forward and backward upon sudden impact. Our chiropractic doctors know what to look for when it comes to neck injuries, and how to treat neck pain stemming from whiplash. Don’t Wait For Neck and Back Injuries to Get Worse. Come In for a Consultation Today! Our goal is to eliminate all pain, so that you can enjoy your life the same way you did before the accident. Along with chiropractic medicine, we also include Physical Therapy and Massage as treatments for injuries related to auto accidents.